pcaman2003: You mean Sideshow Bob? pcaman2003: Dusty quiet so far too. pcaman2003: Can the Pies keep this up? TheLegend6: Hows that not a free agaist Sidebottom attempting spekky without getting near ball? Gotigres: Damn, Collingwood are playing well. Ash777: is she pregnant with dusty’s baby? pcaman2003: Big Cox shafting the Tiges. StuL: The old Richmond are back. Big trouble. casey22: Saw some tigers fans leaving already! Ash777: I hope the week break before finals doesn’t get blamed again. StuL: The week off i tell you, you dont want it! The0Grrr: Pagan obviously onto something! StuL: Dees can win it now. The0Grrr: Thanks. I’ll take that! StuL: If the tigers dont come back in the next 10 mins, its over. TheLegend6: Game over boys, see ya next season! pcaman2003: Cox triples Tigers goals. Oh boy! The0Grrr: Hardwick another coach with no plan B? runt: What the bloody hell was the Coleman medallist doing with that shot? Ash777: did bucks get in a fight before the game? pcaman2003: All over rover! Gonsky! StuL: Pies are in the GF! What? Come on Dees! runt: What the bloody hell is going on here? The0Grrr: Bloody 6 day breaks! StuL: Settle down Bruce. Tuohy, Keneally and Hanley all better footballers than Cox. He’s just having an Ellen. pcaman2003: Treloar and WHE no impact at all. Gotigres: Well done to the pies. They have developed a game plan for when Grigg is in the ruck. Sixty656: Tigs been resting, now they pounce and win by 3 goals. 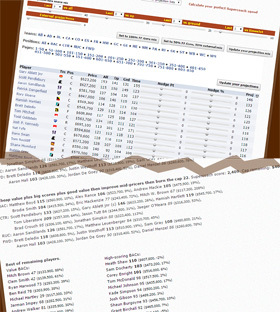 pcaman2003: Treloar,WHE and Aish need to step up. pcaman2003: Sorry Legend. Bad habit of mine. StuL: Id’ be crying blood if I was a tigers fan. GF minimum was a pass. SilverLion: How the flower is cox not bog? StuL: Fwds can’t win b.o.g. Midfielders medal only.